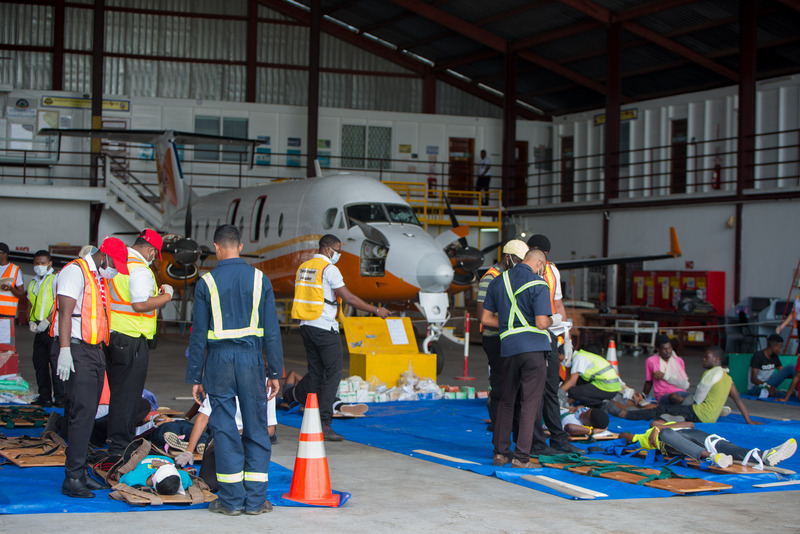 In keeping with the requirements instituted by the International Civil Aviation Organization (ICAO) and the Guyana Civil Aviation Authority (GCAA), the Eugene F. Correia International Airport launched a full-scale emergency exercise on Friday, March 15. 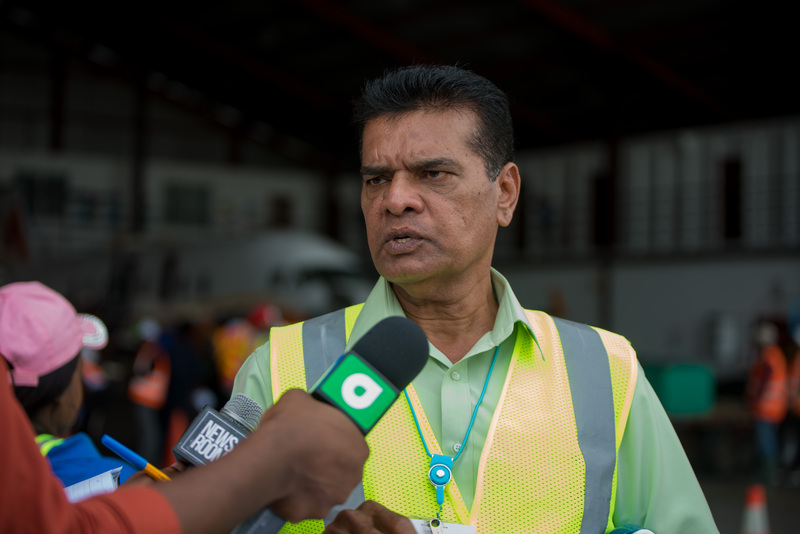 Prior to the commencement of the exercise, Safety and Compliance Officer of the airport, William Sanasee explained to the Department of Public Information (DPI) that “it will entail lots of agencies including the Guyana Fire Service, the Guyana Police Force, Guyana Defence Force, airport security, Civil Defense Commission, and medical services including Georgetown Hospital, Woodlands and Mercy Hospital”. 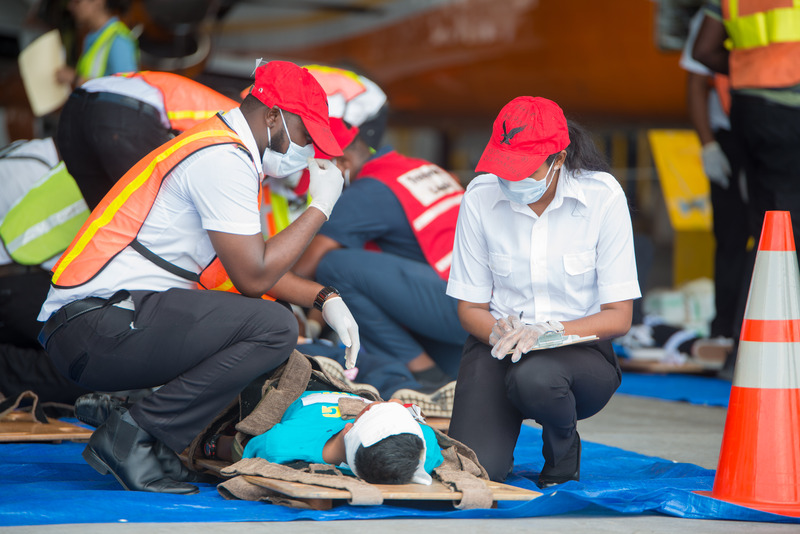 The simulated emergency replicated the events that could likely occur after an ATR72 aircraft, similar to that used by LIAT airlines, overran the airport’s runway on landing and catches fire. 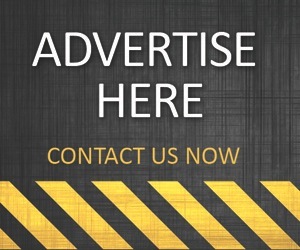 In a coordinated effort, the emergency response team from the various agencies worked on dealing with the faux emergency as if it were a real scenario. 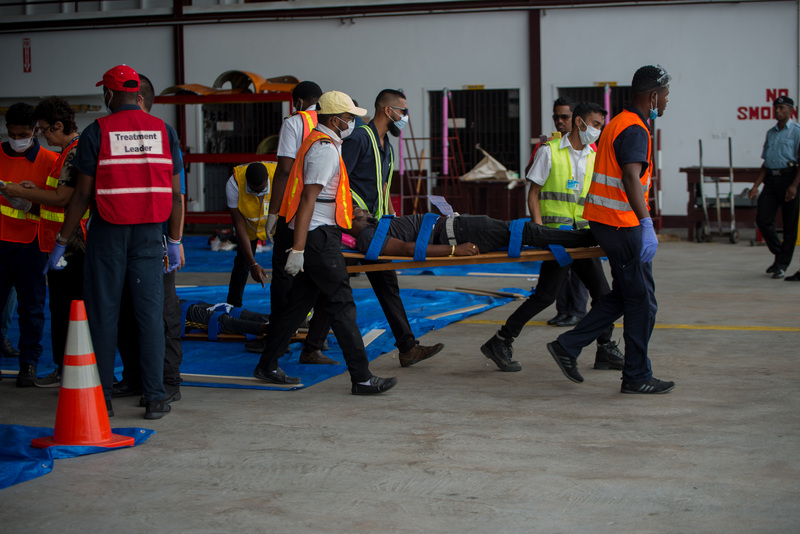 In addition, the emergency personnel were tested on their response to an unannounced bomb threat at the terminal building. 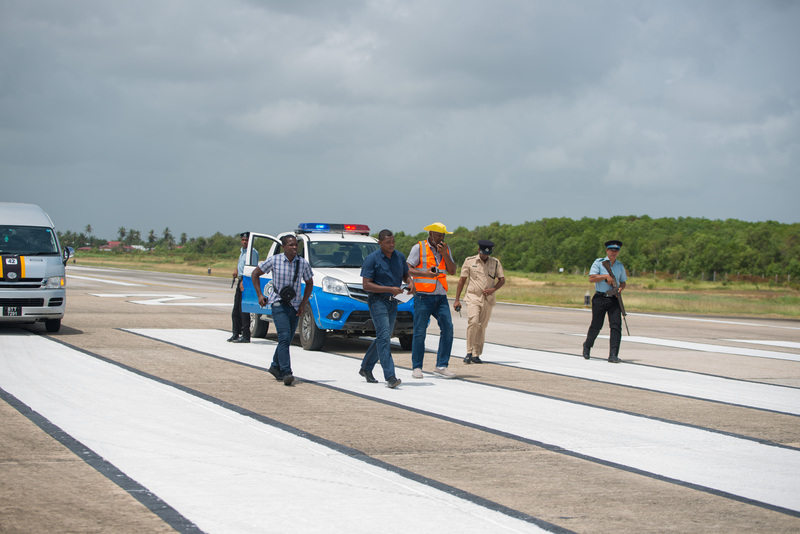 At its completion, Director General of the Guyana Civil Aviation Authority, Lt. Col. (Ret’d) Egbert Field shared his preliminary assessment of the exercise. 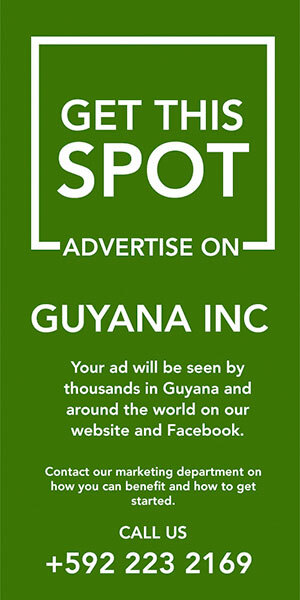 “I think the response time was good… We commenced the exercise, and I think within three or four minutes the fire service was out here. So, as I said, we will look at the stopwatches. From my vantage point in the tower, I would say that the response time was in accordance with standard operating procedures”, said Field. Meanwhile, fireman and captain of Fredericksburg, Virginia, Capt. Jack McGovern, who facilitated the exercise praised it as a success. 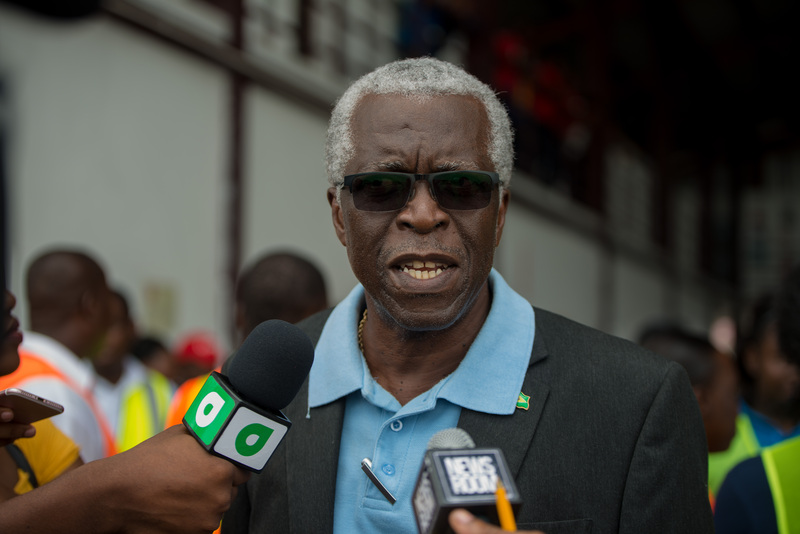 “I think we have come away with things that we can learn from and implement as we move forward to implement a better plan to respond even better in the future”, he relayed. Capt. McGovern who has been involved in the exercise since 2006, indicated that there was an improvement in teamwork and integration between the agencies compared to last year. 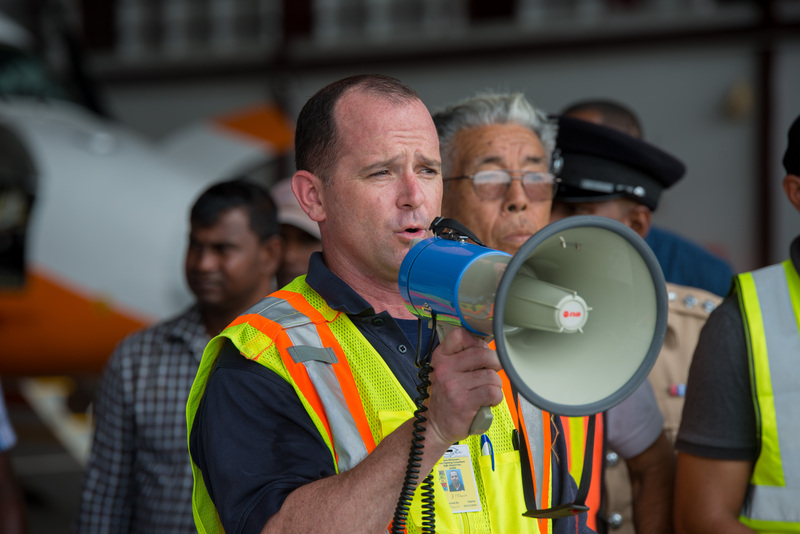 The Eugene F. Correia International Airport’s full- scale emergency exercise is conducted once every two years.